I love your card. Very pretty. TFS. Pretty. Especially like the stick pin & banner strips. Color challenges & sketches are more challenging for me. 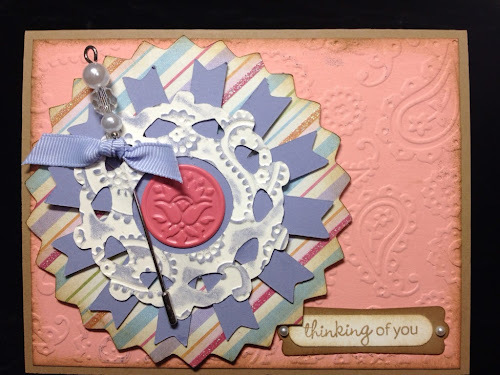 You did a wonderful job with the colors & arrangement of your card. Lovely card! Love the embossing.